Yesterday, Peloton got a nasty surprise in the form of a $150 million lawsuit from the National Music Publishers’ Association (NMPA). 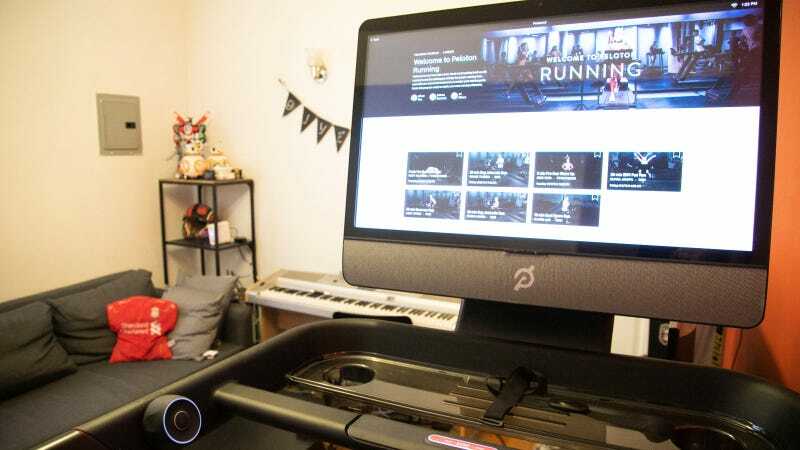 The suit alleges that for years, the high-end fitness tech company has neglected to pay royalties to songwriters behind more than 1,000 songs for the music heavily featured in its classes. If you’ve never hopped on a Peloton Bike or Tread, the classes are often sorted by difficulty level, exercise type, duration, but also musical genre. For instance, you could opt for a 20-minute Beginner Hip-Hop bike ride. Exercise cues are often timed to the music, and in the bike classes, instructors often remind you to match your pedaling to the beats per minute of a particular song. Peloton itself has noted the importance of its curated playlists to its customer base—and even puts its playlists up on Spotify. The issue at hand is that NMPA alleges that Peloton has failed to obtain what’s called a “sync license.” Basically, because the music is timed to the video. The complaint notes that Peloton was fully aware of the need to obtain a sync license, and “in fact sought and obtained such sync licenses from certain other music copyright owners.” The complaint also alleges that Peloton had in fact, had a licensing deal with Ultra Music for a period of time, but ultimately let it expire and continued to use the music anyway. (What about your regular dance classes and gyms? Unless those are streaming video classes, any music played should be covered under a public performance license.) Also, in an interview with CNBC, Israelite says the NMPA had approached Peloton to resolve the matter before filing the suit but that talks had gone poorly. We just received the complaint yesterday, and we are evaluating it. Peloton has great respect for songwriters and artists. In fact, we have partnered with each of the major music publishers, record labels and performing rights organizations, and many leading independents. We have also invested heavily to build a best-in-breed reporting and licensing system to support our partners and provide our members with a world-class fitness experience. According to the NMPA, Peloton has released videos featuring unlicensed music from an impressive list of artists, including Rihanna, Bruno Mars, Lady Gaga, Katy Perry, Justin Timberlake, Ed Sheeran, and Ariana Grande. The actual complaint also lists some unexpected songs, such as “Shallow” from Lady Gaga, “Happy Xmas (War is Over)” by John Lennon and Yoko Ono, and “Bring Me to Life” by Evanescence. I don’t know who is working out to these tunes, but we need to have a chat about the art of crafting the perfect gym playlist.